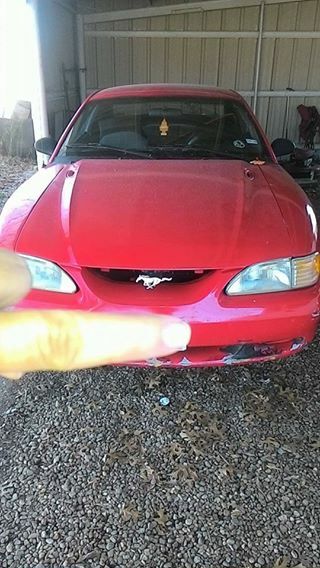 4th gen red 1995 Ford Mustang V6 3.8L automatic For Sale. Runs good, automatic transmission, new a c compressor. Pretty clean on inside for a 95. No radio.. clear blue title. $1500 obo offer close. NO LOW BALLING NO TRADES.. Car located in – Lone Oak, Texas, US.